At first glance does not seem a striking difference between the Grand New Kijang Innova with previous versions. With Prestige & Aggressive design concept, Toyota developed a design that changed quite significantly, especially on the exterior, which adapts to the needs of local users in Indonesia. 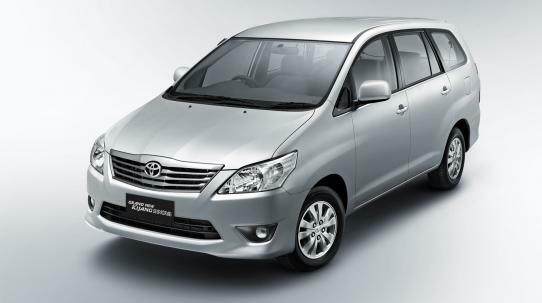 Grand New Toyota Kijang Innova comes with a new, more aggressive look but do not forget the ride comfort is enhanced through various features of the new design on the interior. 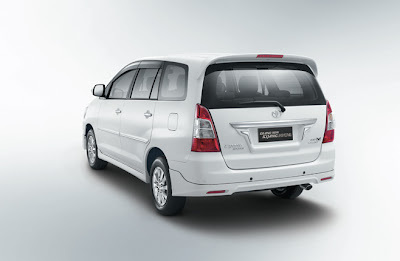 Exterior side of the front of the Grand New Kijang Innova featuring an elegant impression with changes to the front bumper and hood and radiator grille molding. By using the design view a more rounded head lamp integrates with the front bumper and also a straight line on the radiator grille makes Grand New Kijang Innova looks more aggressive. Grand New Kijang Innova also has grooves on the bonnet and a sharper head lamp. Do not miss the new alloy wheel design that adds a fresh impression on the family's pet Indonesia this vehicle. Elegant impression will be more visible from the exterior side of the side which is now equipped with rocker panels and body side body color molding and outer mirrors with side turn lamp. On the back of the rear combination lamps and rear license garnish was not found on the old version of Toyota Kijang Innova. From the interior side of the visible changes ranging from a new steering wheel, which is now contained audio control buttons. All these changes are expected to assert the dominance of the Kijang Innova car as middle-class families who were legendary for five generations so far. 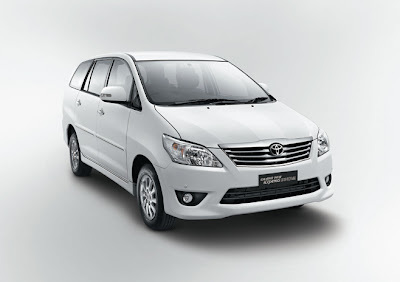 Innova enjoy the convenience of the passengers in the second row and third row feels more stable. As a result, sitting as a passenger feels more comfortable.